After a brief deliberation, the Judicial Board decided that all motions shall be rejected, the case shall proceed to trial, and the appellate complaint shall be considered without requiring additional evidence. By dismissing the defense motions, Baku Court of Appeal has violated several legal norms. The decision dated November 3, 2009 of the Plenum of Supreme Court of Azerbaijan Republic reads that “when selecting the restrictive measure of arrest, the nature and degree of public danger of the crime committed by the accused person, the information characterizing the identity of the accused person, including his age, marital status, occupation, health and other circumstances should be taken into consideration.” Mammad Ibrahim is a politician and has a social commitment closely linking him to the public, and if he attempts to escape the court, it would damage his reputation in this sphere. According to Article 157.5 of the Criminal Procedure Code, when examining the question of arrest as a restrictive measure, the court, if it decides that there is no need to isolate the accused from society by detaining him on remand, shall have the right to substitute house arrest for arrest. Releasing the accused person from detention on the conditions of house arrest has been provided for in both the domestic legislation and the European Convention on Human Rights. In one of the recent cases concerning Azerbaijan – in its judgment on the case Farhad Aliyev vs. Azerbaijan, the European Court held that the mere listing of the reasons to justify the detention of the person and the failure to investigate and to provide in the decision the facts and information said to be available to confirm the reasons and assumptions represented a violation. However, the court did not grant this motion. The court also unlawfully dismissed the motion to remove Mammad Ibrahim from the glass cage and to seat him next to his lawyer. Keeping people in these conditions and exhibiting them to others is in itself an inhuman and degrading treatment. Continuing such a treatment at a stage dominated by the principle of the presumption of innocence, a fortiori, creates an additional legal problem and gives reason to doubt the impartiality and fairness of the court. In addition, keeping the accused persons in a cage is not in line with the principle of equality of the parties and creates more favorable conditions for the prosecution, which hinders compliance with the procedural requirements such as fair balance and equal starting conditions. Baku Court of Appeal chaired by Judge Aflatun Gasimov (other judges were Vugar Mammadov and Amir Bayramov) held a preliminary hearing on the appellate complaint of Mammad Ibrahim, advisor to the chairman of APFP. Mammad Ibrahim was arrested on September 30, 2015, based on the complaint of Mikayil Guliyev, who recently left the APFP. He was accused of striking Mikayil Guliyev. Mammad Ibrahim was charged under Article 221.1 (hooliganism) of the Criminal Code. Later, two more people, Oruj Valiyev and Mahammad Gurbanov also filed a complaint, claiming that they had also been struck by Mammad Ibrahim during the incident. After that, the initial charge was changed to a more serious one under Article 221.2.2 of Criminal Code. Mammad Ibrahim was sentenced to 3 years in prison by Narimanov District Court’s verdict of March 15, 2016. The appellate complaint has been filed against this verdict. Mammad Ibrahim’s lawyer Fariz Namazli filed several motions at the hearing. 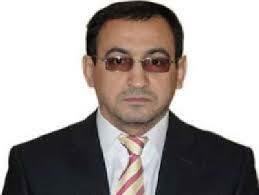 The first motion sought substitution of the measure of pretrial detention of Mammad Ibrahim with house arrest. The second motion concerned examining the appeal through a trial de novo. The lawyer justified his motion by stating that Narimanov District Court had tampered with the evidence. “The minutes of the court hearings on the case have been falsified. Despite of the fact that all witnesses testified in favor of Mammad Ibrahim, this fact has not been included in the minutes. Regarding these falsifications, Mammad Ibrahim’s other lawyer Yalchin Imanov has added his comments to the minutes of the court hearings. However, Yalchin Imanov has not been told whether his comments have been examined. As such, a new trial should be held and the evidence should be investigated,” the lawyer noted. With his third motion, the lawyer asked the court to remove Mammad Ibrahim from the glass booth in the courtroom and allow him to sit beside his defense counsels. The lawyer justified the motion by the fact that it was necessary for the effectiveness of the defense. While commenting on the motions, public prosecutor Jeyhun Budagov requested that none of them be sustained. The next hearing on the case is scheduled for May 13, 12.30pm.